As demand for cocoa outpaces supply, smallholder farmers hold the key to ensuring a sweet and sustainable future for chocolate. Chocolate lovers worldwide are paying a little more for their sweet indulgences these days. While cocoa consumption has doubled over the past 20 years and continues to grow, cocoa supply is struggling to meet demand, and prices are rising. Industry experts warn there could be a cocoa supply deficit of up to 1 million tons by 2020. 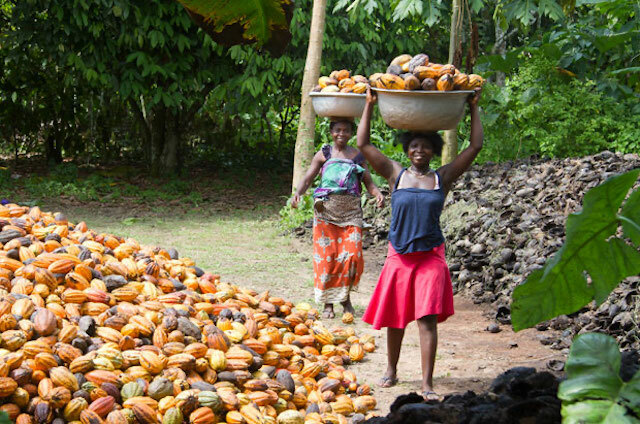 Smallholder farmers in the developing world are critical to securing cocoa’s future. Between 80 and 90 percent of the world’s cocoa comes from small family farms. Farmers work hard to keep their trees productive, but worry about pests, changing weather patterns and price fluctuations. TechnoServe works with thousands of cocoa farmers on two continents to help them improve their productivity and their incomes. West Africa supplies two thirds of the world’s cocoa, and 2 million farm families here rely on cocoa as their primary source of income. Unfortunately, soil degradation, aging trees and poor agricultural practices have kept yields low across the region. 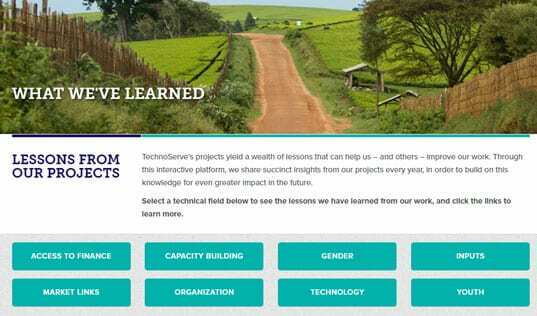 TechnoServe is connecting farmers across Ghana and Côte d’Ivoire to credit for crop protection and fertilizers that can revitalize their trees and double their yields. Over the past four years, we’ve helped nearly 20,000 farmers access more than $5.5 million in input credit through the WCF Cocoa Livelihoods Program. The credit allows farmers to access the right inputs at the right time to increase their yields, and repay later in the season when they harvest their cocoa. 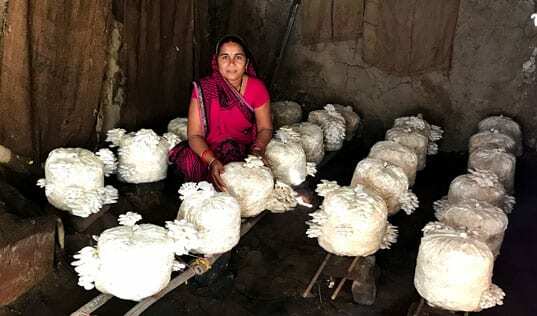 Higher yields mean higher incomes, enabling the farmers to repay their loans at exceptional rates – 100 percent in Côte d’Ivoire and 97 percent in Ghana. Meanwhile, Latin America dominates production of fine cocoa, and TechnoServe is helping farmers here improve the quality of their beans and connect to specialty markets. In Peru’s San Martín region, we’re partnering with the U.S. Agency for International Development to help develop the cocoa and chocolate industry. 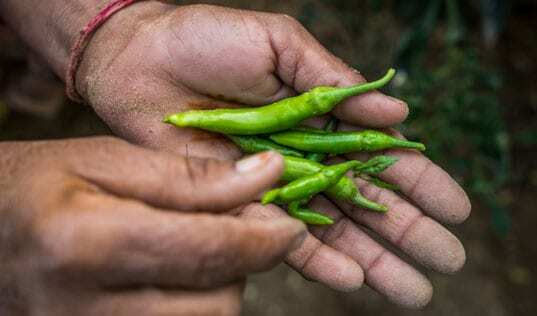 Farmers like Geister Cachique have doubled their productivity after learning to properly prune and fertilize their trees, and better handle their cocoa beans after harvest. We are also working with entrepreneurs like Elizabeth Gómez Flores to take advantage of the local supply of high-quality cocoa in this region. With Support from TechnoServe, sales for her chocolate business NATIVOS have grown fivefold, and she is expanding to new markets. 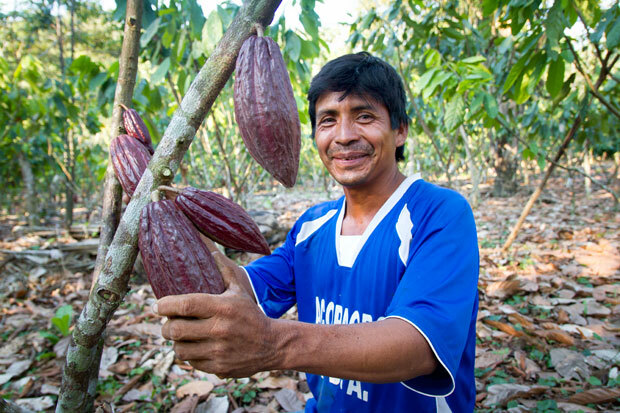 In Honduras, we’re helping farmers like Fermin Arriaga earn a higher price for their cocoa. 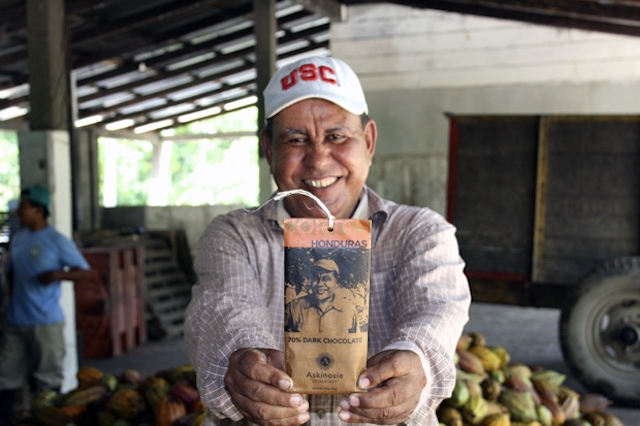 TechnoServe worked with Fermin and his producer group Finca Patricia to identify elite native cocoa varieties, and we facilitated a connection to Askinosie, a gourmet American chocolate maker. The two businesses have since developed a stable and sustainable relationship. Learn more about our global cocoa work.